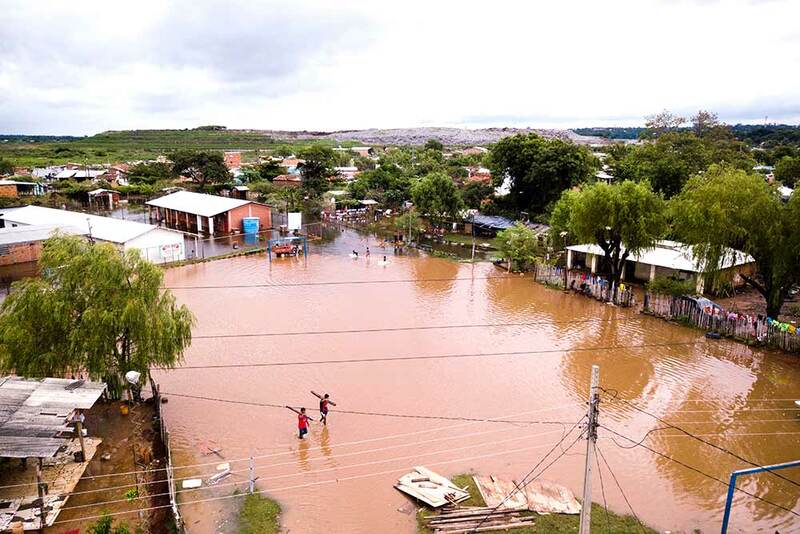 More than 20,000 people in Paraguay have been evacuated after torrential rains caused extensive flooding. A bird's eye view of the flooded Jukyty neighborhood, in Asuncion, Paraguay. 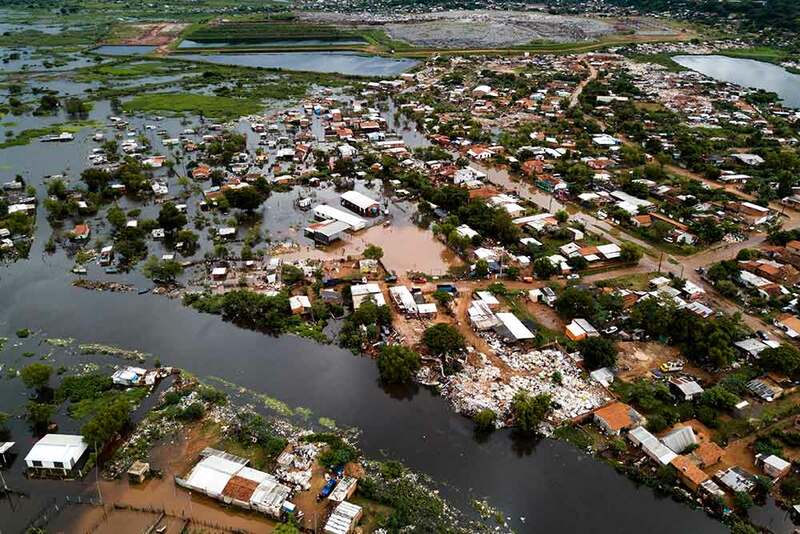 More than 20,000 people in Paraguay have been evacuated after torrential rains caused extensive flooding. 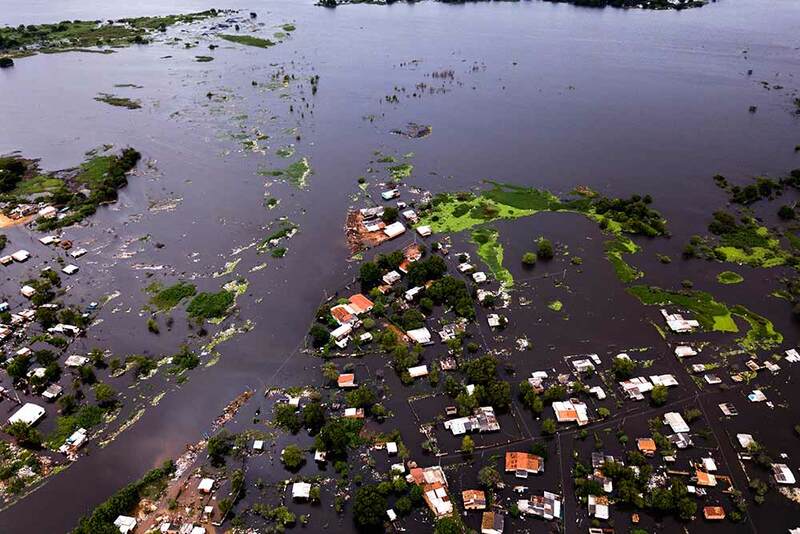 A bird's eye view of the flooded Jukyty neighborhood, in Asuncion, Paraguay. 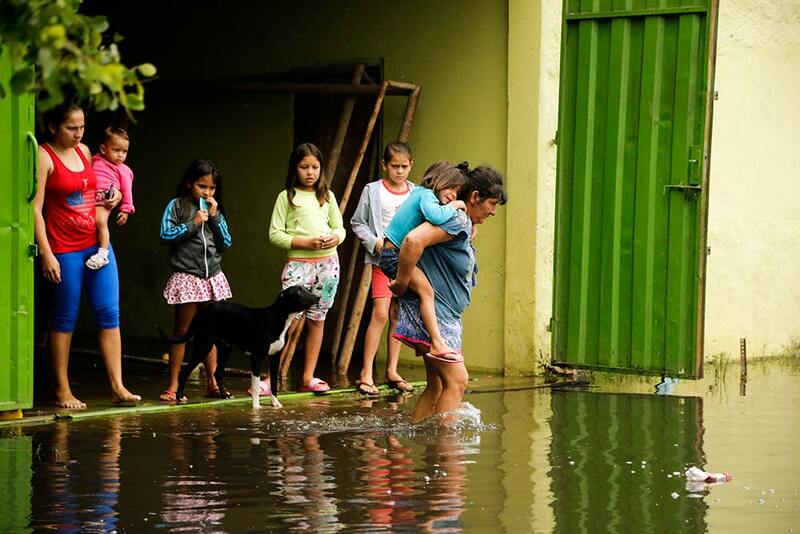 A woman wades through a flooded street in the Villa Colorada neighborhood, in Asuncion, Paraguay. 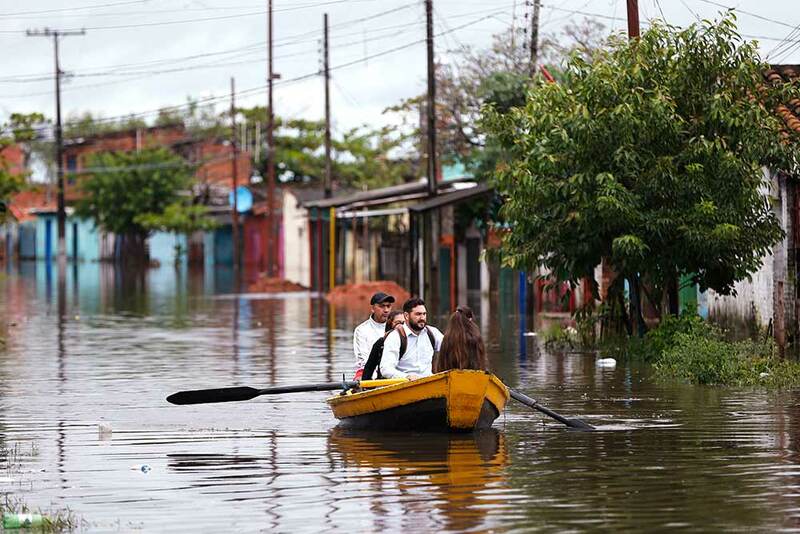 Residents ride a boat through a flooded street in the Villa Colorada neighborhood, in Asuncion, Paraguay. 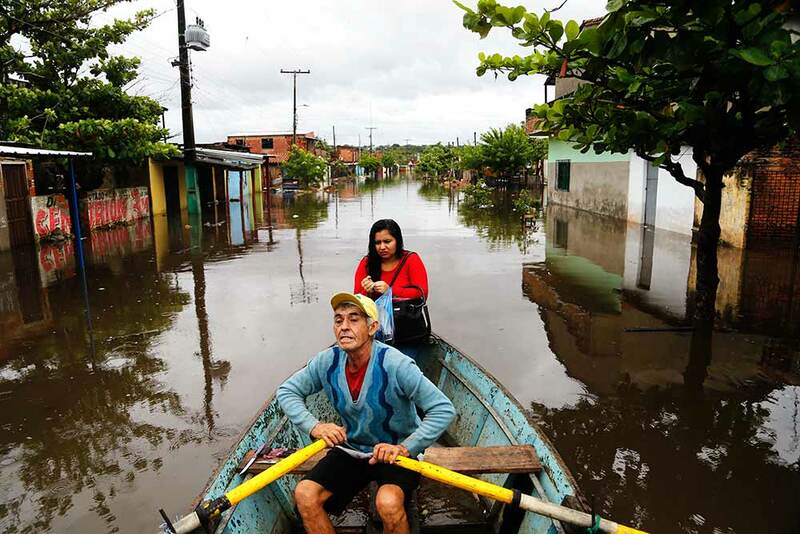 With his daughter as passenger, Ramon Gomez, 65, rows a boat through a flooded street in the Santa Rosa de Lima neighborhood, in Asuncion, Paraguay. 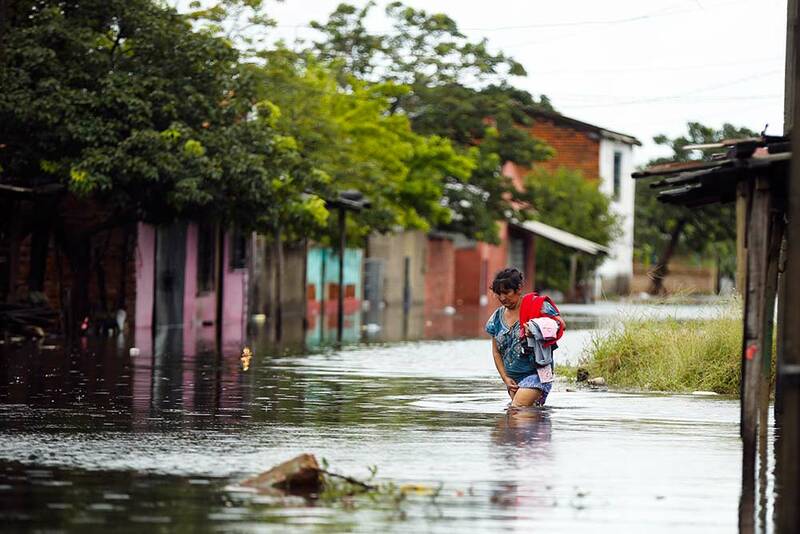 A woman gives a child a piggy back ride, as she wades through a flooded street in the Villa Colorada neighborhood, in Asuncion, Paraguay. 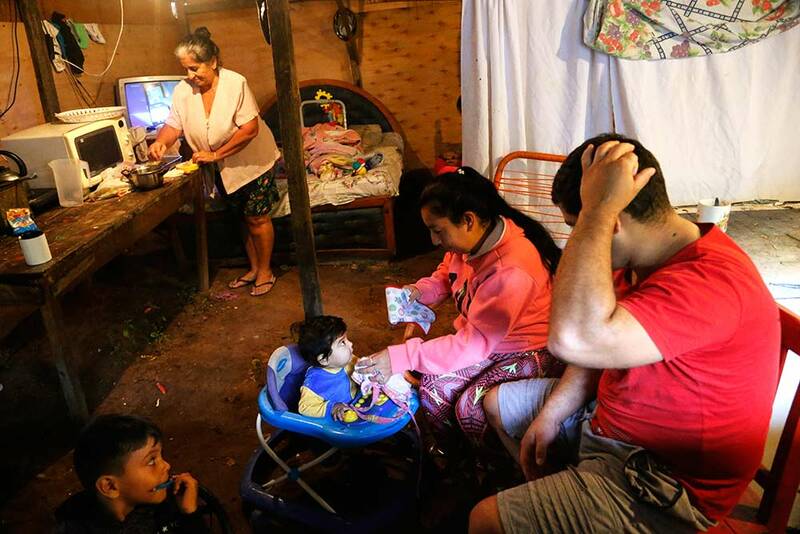 The Gutierrez family, diplaced by floods, prepare for breakfast in a temporary shelter in Asuncion, Paraguay. 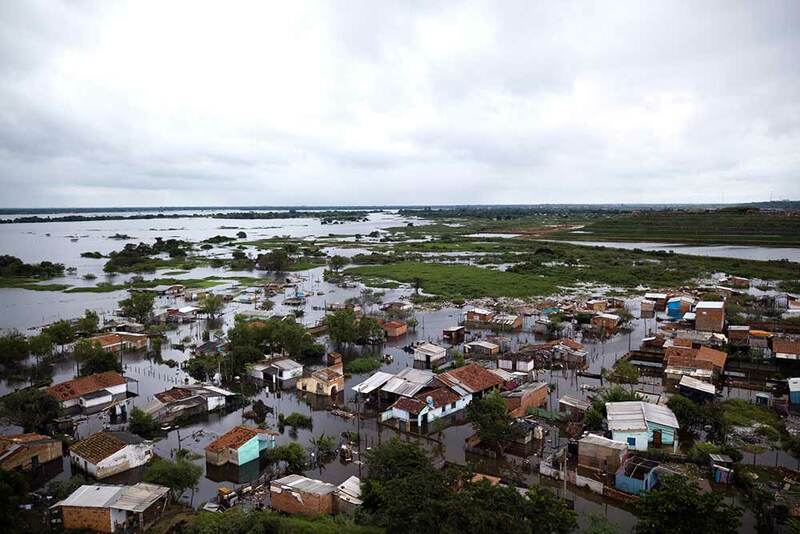 Men carrying planks wade through a a flooded soccer field in the Jukyty neighborhood, in Asuncion, Paraguay. 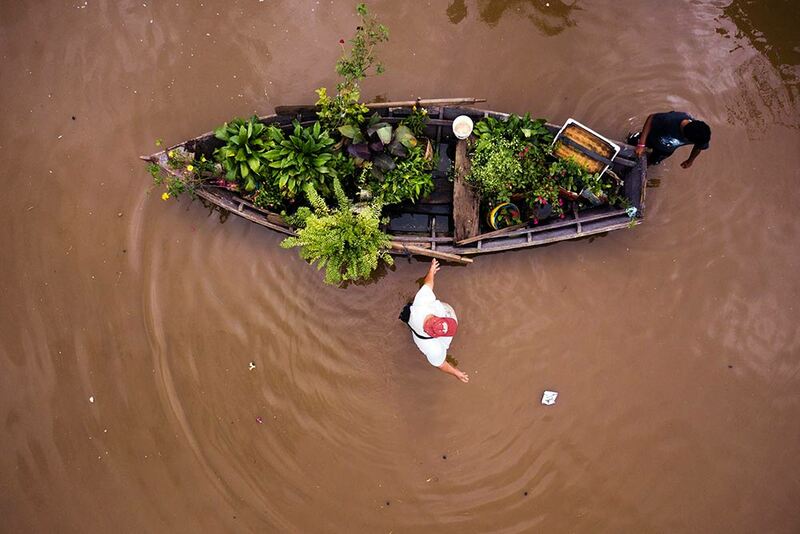 People transport their plants in a boat through a flooded street in the Jukyty neighborhood, in Asuncion, Paraguay. 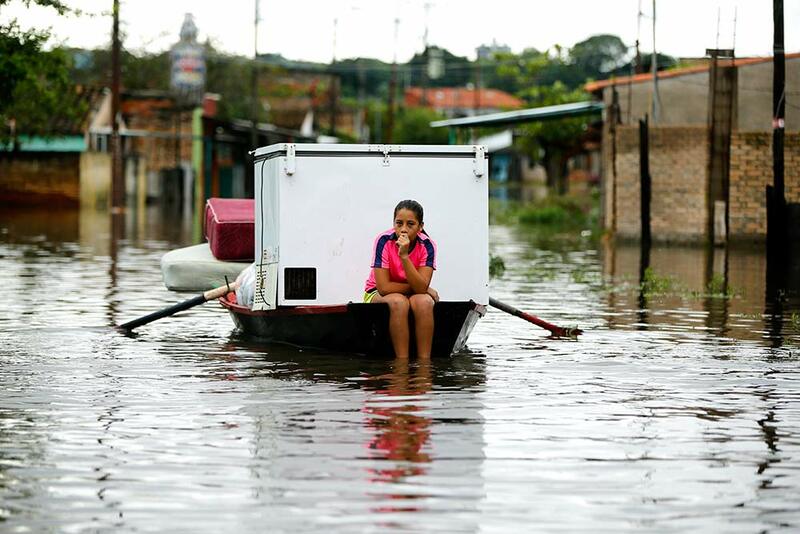 Carolina Vera, 13, rides on a boat through a flooded street in the Villa Colorada neighborhood, in Asuncion, Paraguay.